Real Estate in Southwest Florida is booming, and the Naples Florida real estate market is one of the hottest areas in the region. Whether you are selling a property, or you are a first time home buyer or serious investor, staying informed will help you make the best decisions. 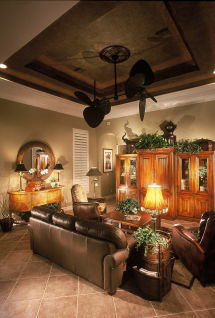 Finding the right Naples real estate property to fit your specific needs can be a complex process. The good news is that the Naples Florida real estate market is so diverse that any preferred lifestyle can be accommodated. If you are looking to purchase a property in the Southwest Florida area, or more specifically a Naples vacation condominium, single-family home, villa, beachfront estate, townhouse, investment property, or golf course property, Naples has something to offer everyone. As a bonus, no matter where you decide to invest in the Naples Fl real estate market, the place you call home will be within a short distance from Naples’ Gulf of Mexico beaches, world class shopping, award winning golf courses, and palette pleasing restaurants. As a buyer or seller of real estate in Southwest Florida, you want to depend on agents for up-to-the-moment market knowledge, delivery of information on a timely basis, and aggressive negotiations on your behalf. Some of you may want to preview homes several times a week with an agent, while others may elect to receive weekly reports or emails with recommendations based on your specifications. Whatever your Southwest Fl real estate needs may be, working with the right real estate agent is a must. The residential real estate section within ExploreNaples.com features twenty-one Naples Florida real estate agents that are here to deliver old-fashioned community level service using the latest in high-tech tools. From Naples and Marco Island Florida, to Estero and Bonita Springs Florida these agents will assist you with either buying or selling Southwest Florida real estate properties.